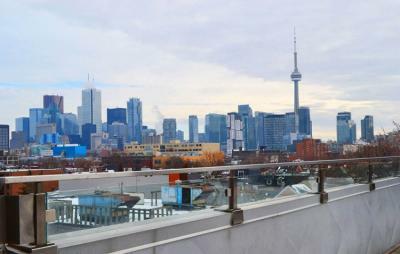 Toronto – Hostels in Toronto. Maps of Toronto, Photos and Reviews for each hostel in Toronto. Looking for a hostel in Toronto? Look no further, all the good deals in Toronto are on Dorms.com. Like thousands of other people every month, book your hostel securely at the best price in all neighbourhoods of Toronto. On this site, you can easily find a hostel downtown, in a trendy neighbourhood; a hostel in the student- university district, close to bus or train stations, airports or major attractions of Toronto. We are perfectly located in between Kensington Market, a very unique & awesome neighborhood, Little Italy, Chinatown, the Annex... And the Downtown core is easily accessible (25 minute walk or streetcar right at the door!) Tons of cafes, bar, restaurants & everything you need for groceries shopping just outside the Hostel! The CN Tower is 2km away & Harbourfront Centre is 2.5km. Lake Ontario is 3 km away Billy Bishop Toronto City Airport, 3km, Toronto Pearson International Airport, 18 km away. Great location, near Chinatown and many restaurants. The hostel is new and clean. Would've been nice to have doors instead of curtains on the rooms and toilets in each floor. Tasty breakfast of waffles and fruits. I like that the pods are like your own personal space, with curtain, night light, and USB outlets. You are provided with Towels, postcard, and breakfast. The only downside are the toilets are far from the rooms (downstairs). Staffs are friendly and polite. Its definitely a wonderful place to stay. Its eco-friendly and lots of perks in terms of free breakfast, free Rice if you want to cook!!!! Clean and safe environment. The cleanest hostel I&apos;ve ever stayed at! The male staff are lovely and the owner is so welcoming. The location is right on College Street so right beside the ever big vibrant Kensington Market. The common area comes equipped with a very neat and tidy kitchen and Mac computers which are free to use. The breakfast spread is awesome and served til 1pm! And I can&apos;t stress how beautiful the rooftop is. Perfect for relaxing or just taking a break to use the wifi. Had an excellent stay and wouldn&apos;t even consider any other hostel in Toronto. Hands down the best!